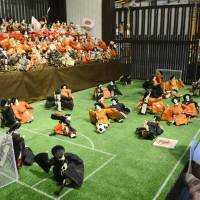 NAGOYA - Traditionally, the dolls at the annual March 3 doll festival are displayed in tiers. 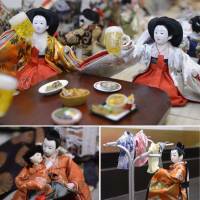 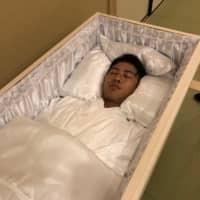 But those currently on exhibit in Gujo, Gifu Prefecture, are acting out ordinary human activities, from drinking to washing. 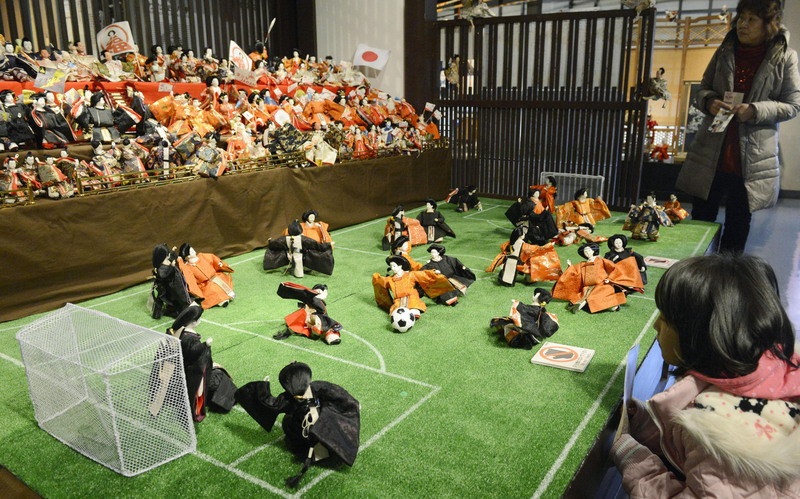 Some are even playing soccer. 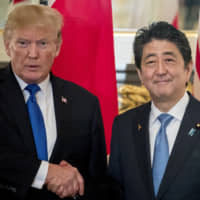 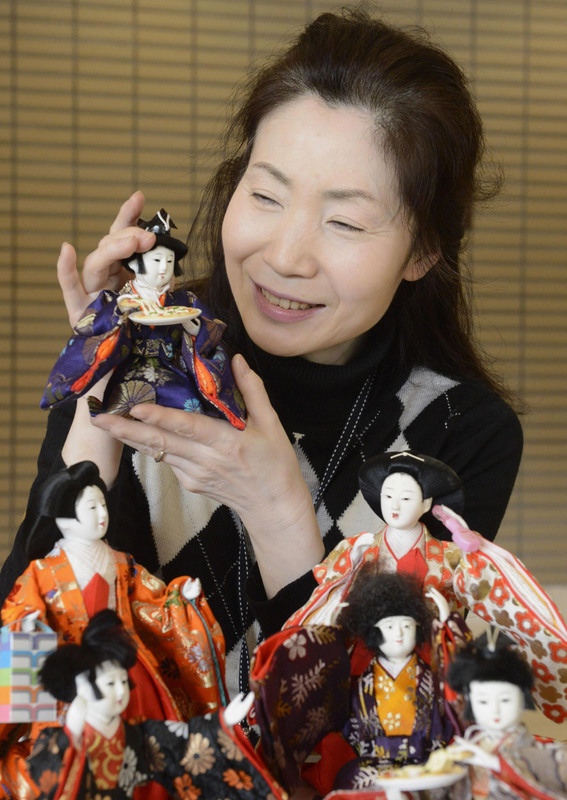 The idea of giving new life to Hina dolls after they have left the hands of their original owners came from Takako Yoshino, 56, a Nagoya-based owner of a kimono recycling shop. 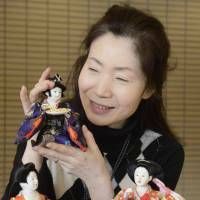 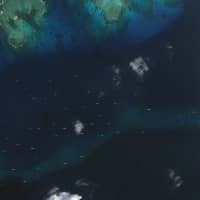 Yoshino’s ideas were supported last year by a group promoting businesses in Gujo, and the success of that event led the community to work on the exhibit again this year. 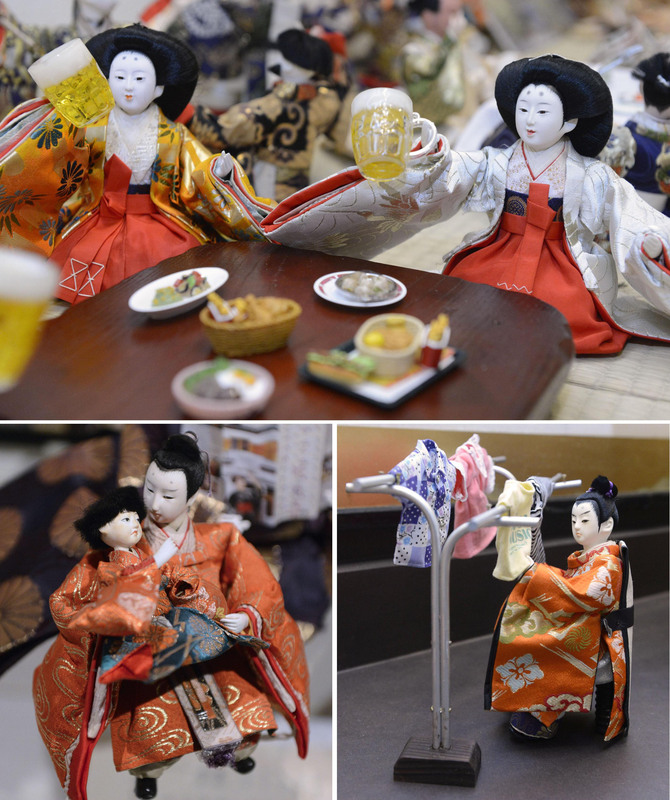 The dolls used for the exhibit were gathered from across the country after they had undergone a memorial ceremony called “ningyo kuyo,” which takes place in some temples and shrines to pray for dolls and thank them for giving their owners many memories. 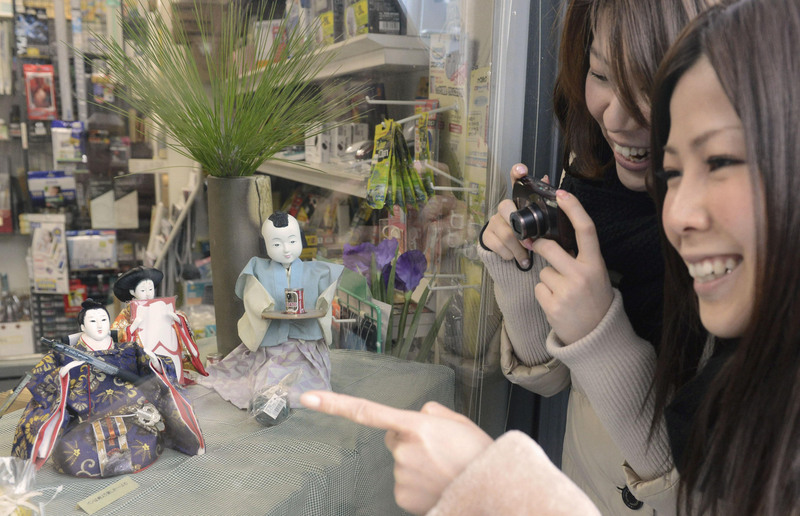 Based on the advice by Yoshino, various business owners in Gujo created original scenes acted out by the dolls. 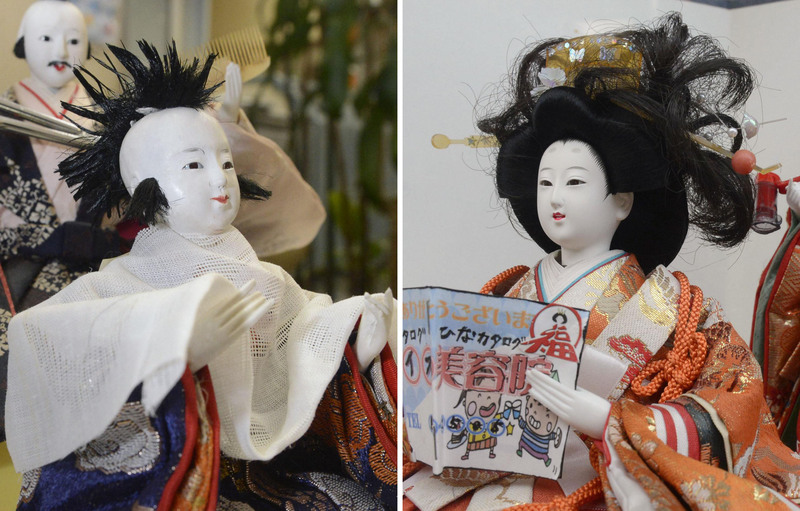 Some are given new hairstyles. 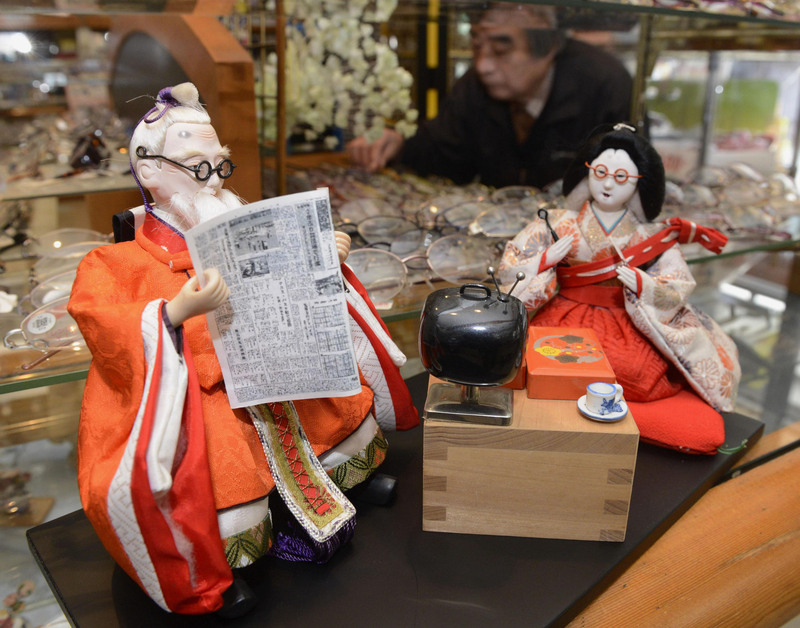 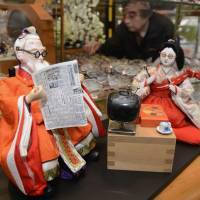 Junichiro Sugimoto, 75, a local optician, created a scene in which an old doll, wearing his reading glasses, is reading the newspaper while another doll, also wearing glasses, is seated by his side.